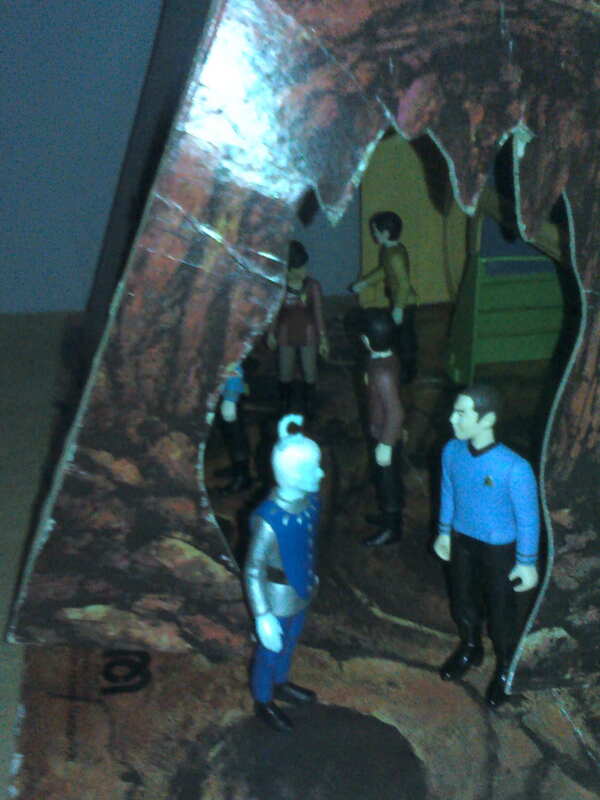 From the Original Series to Deep Space 9 to the JJ Abrams non-reboot reboot. Talk you favorite toys here. Last edited by Joe Moore; 04-05-2011 at 09:26 AM.. 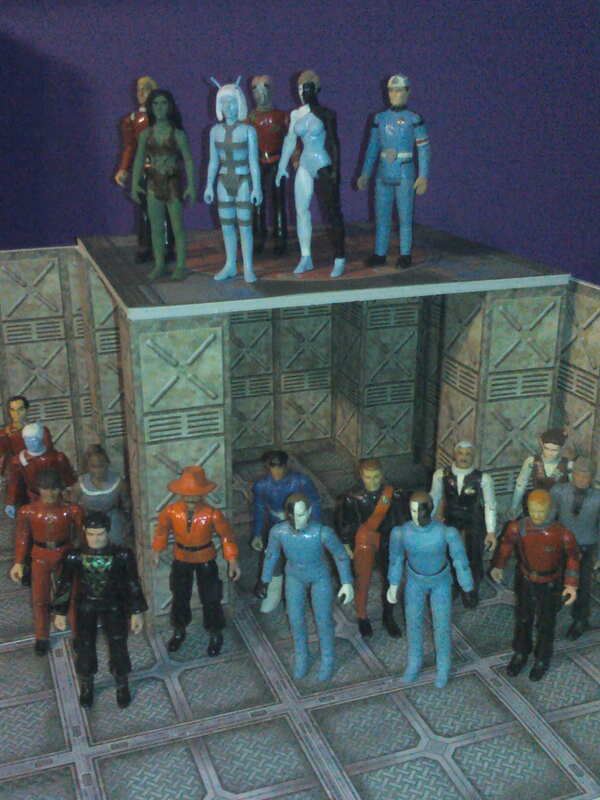 I like the re-release of the MEGO toys the romulan is my favorite. Everybody remember where this thread is parked. 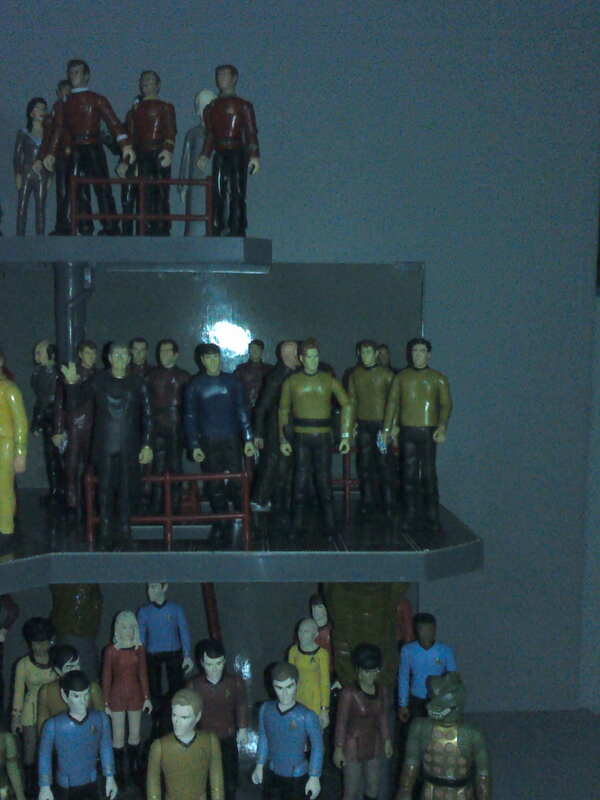 Just received Spock and Sulu from the One:12 Collection. I have to say they are beautiful and I cannot wait for Kirk and his chair. I picked up a batch of loose Trek figures and decided to make this guy. 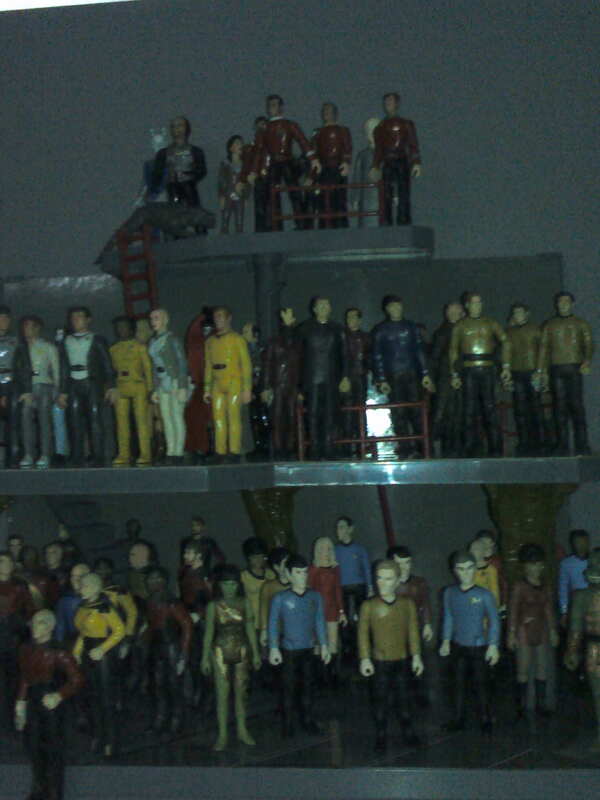 I got together as many of my Trek figures as I could on short notice. Q is out partying with the Antican and Selayan Ambassadors somewhere. Cool display. 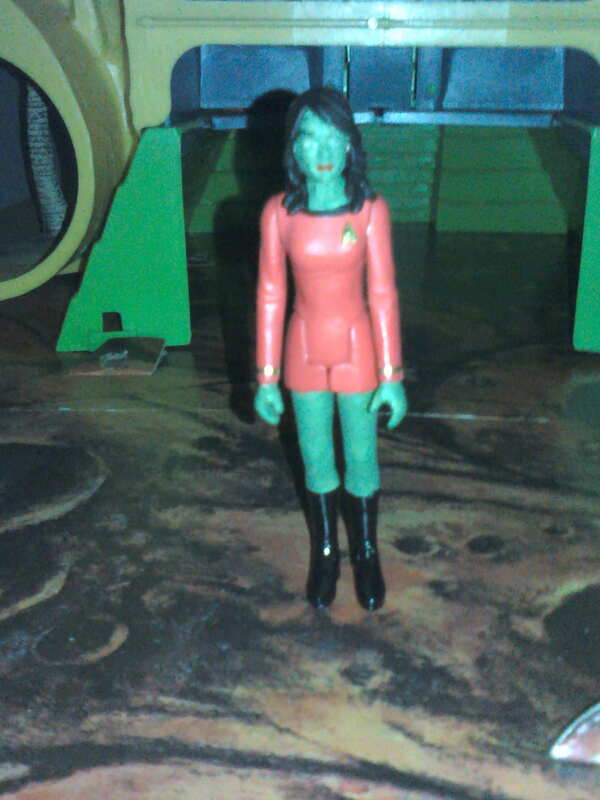 I didn't know they made an Orion Slave Girl. 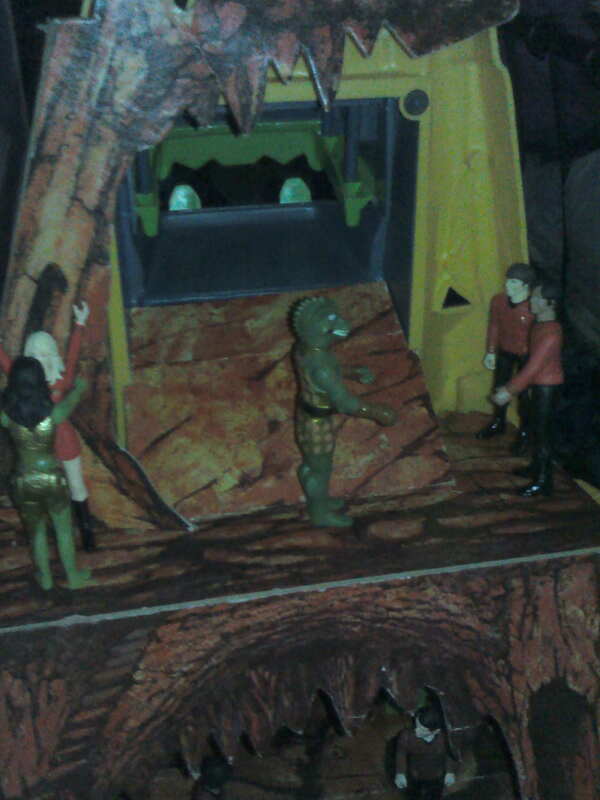 Also: YOU HAVE A GORN!!! 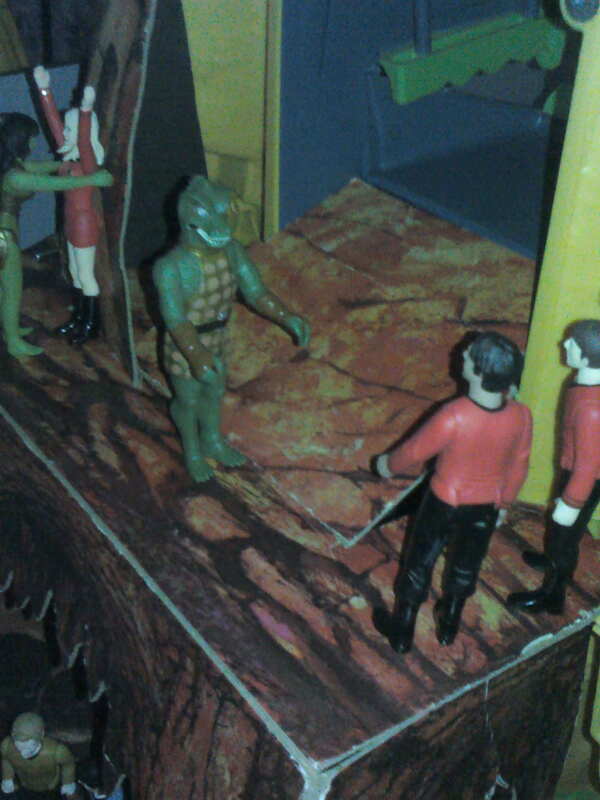 Actually I have 3 Gorn. That is the Reaction one. 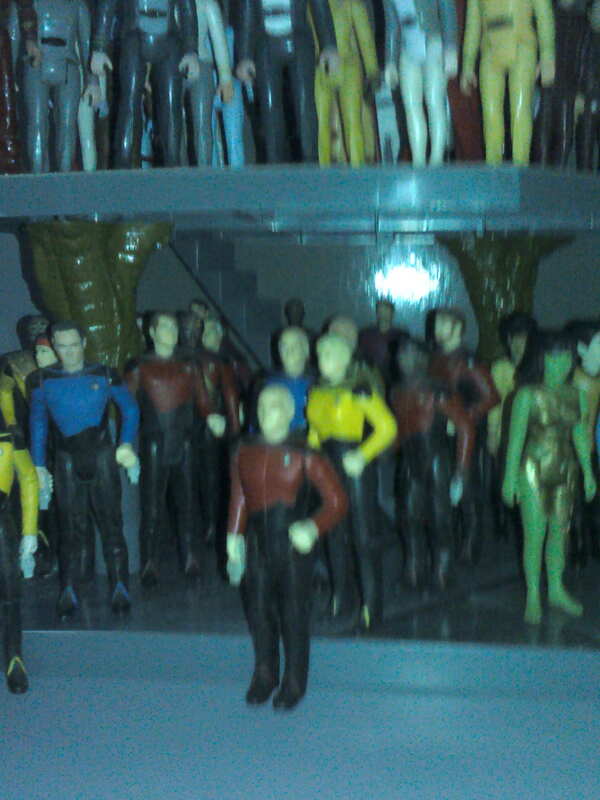 I have the Playmates one, which is bigger, and the pvc one from the same set as the Andorian and Talosian on the top level. 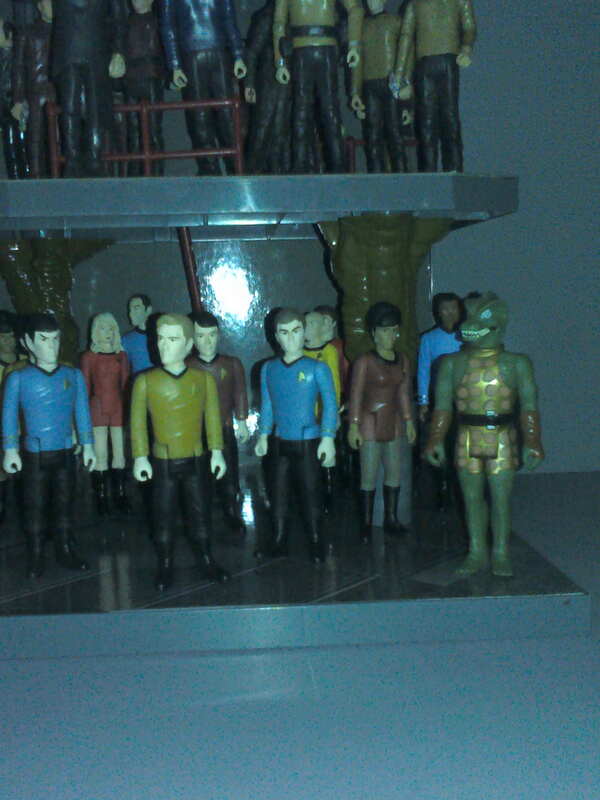 Check the Super 7 webstore and/or Amoktimetoys to look for the Reaction Trek figures. Finally, here is my Mission to Gamma VI playset. 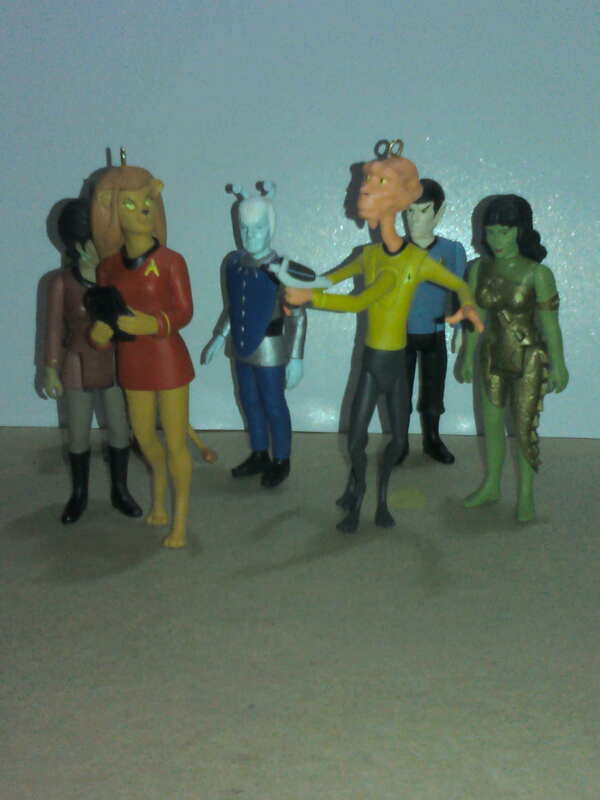 Created for the 8" Mego dolls, I like it better with the smaller figures. and Doctor M'Benga is making new friends outside. Experiment with a backdrop I printed out. Presenting Luna Eclipse, the woman from the Moon. I was trying to get the white star version but apparently they haven't done one. This is the GitD version and it works pretty good for a lunar character. 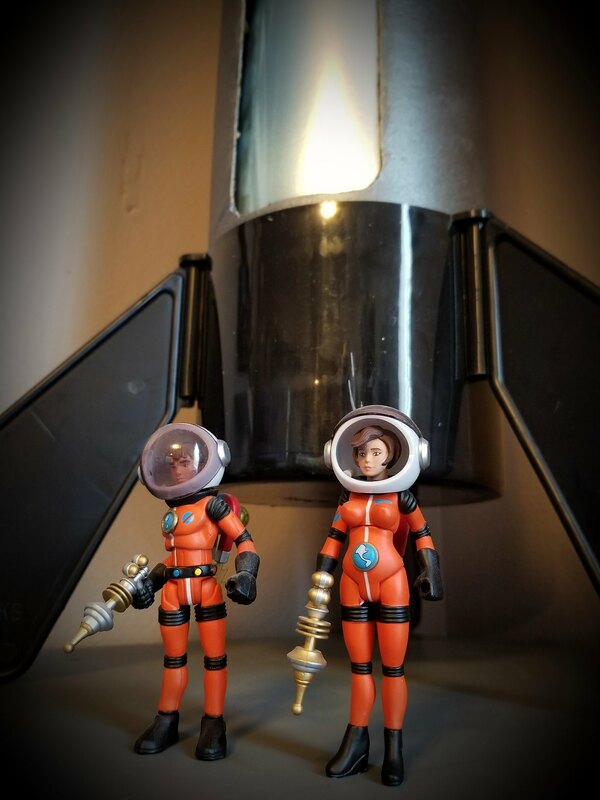 I am still trying to get original versions of Jack Asteroid and Terra Firma. I looked for a better thread for this because I didn't want to start a new one for just 1 pic. 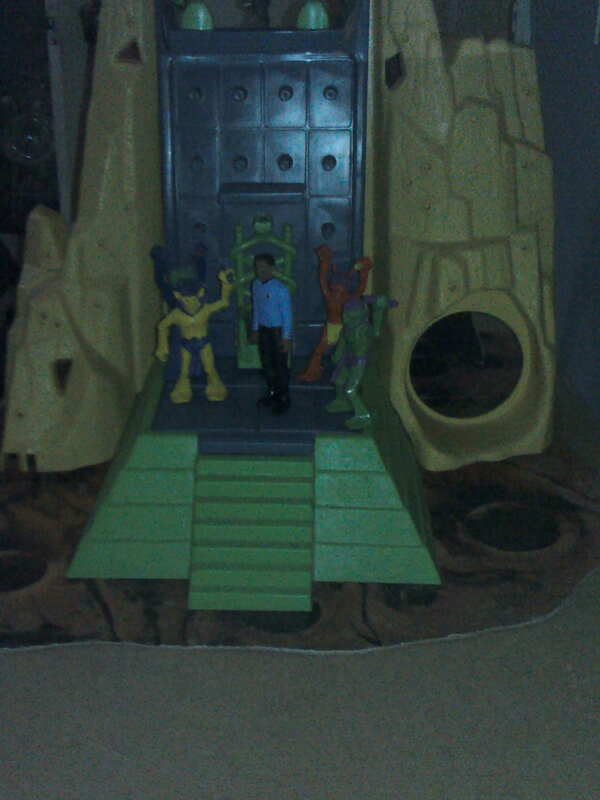 Figured that because it was in my Mission to Gamma VI playset it would be ok here. 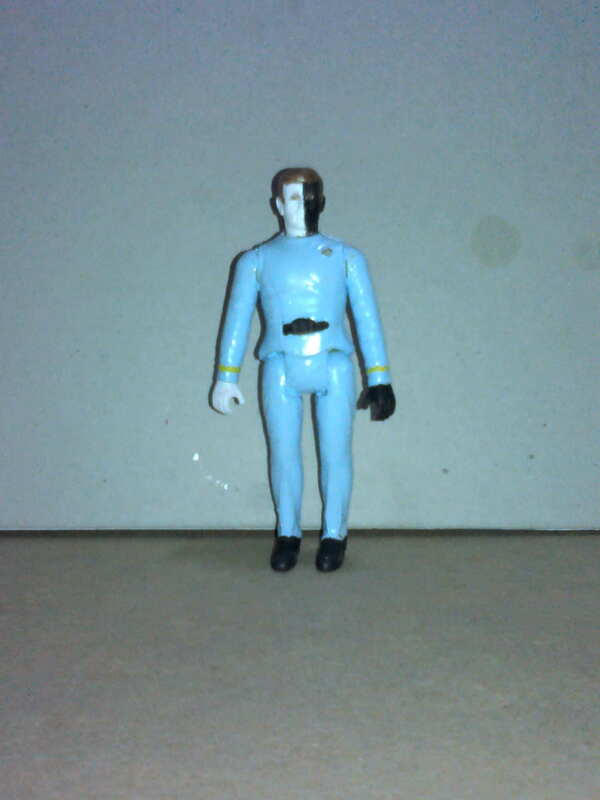 I have been getting the white star Jack Asteroids and giving them different color suits like the Major Matt Mason figures had. A quick custom. Figure arrived this afternoon and was done in about an hour. With names like Zero Gravity and Luna Eclipse, it is fairly obvious what OSM is trying to do. 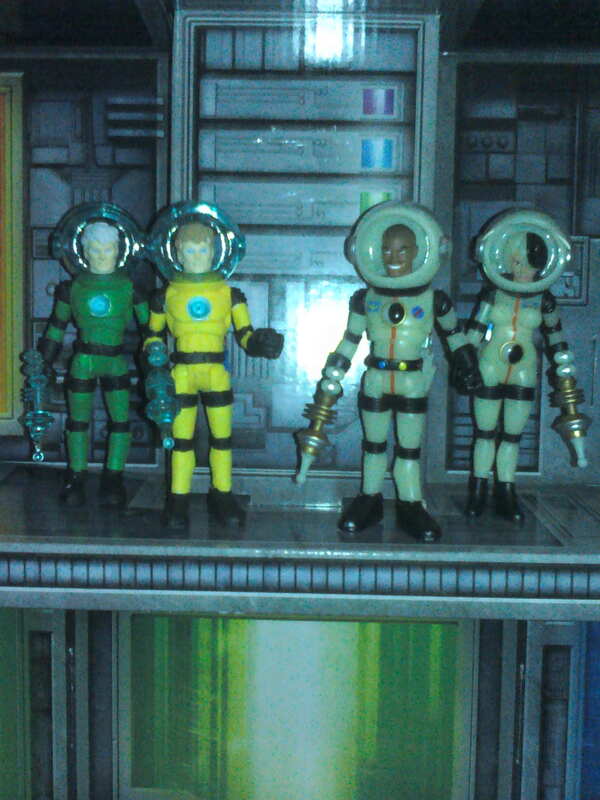 The original OSM were perfectly compatible with the Major Matt Mason line from Mattel. This line was created and licensed by Mattel and is probably still owned by Mattel, and I believe that OSM probably looked into that as well before proceeding. The idea here was most likely to create a MMMish line of human characters that did not exactly replicate the MMM line of characters to compliment the other OSM aliens. 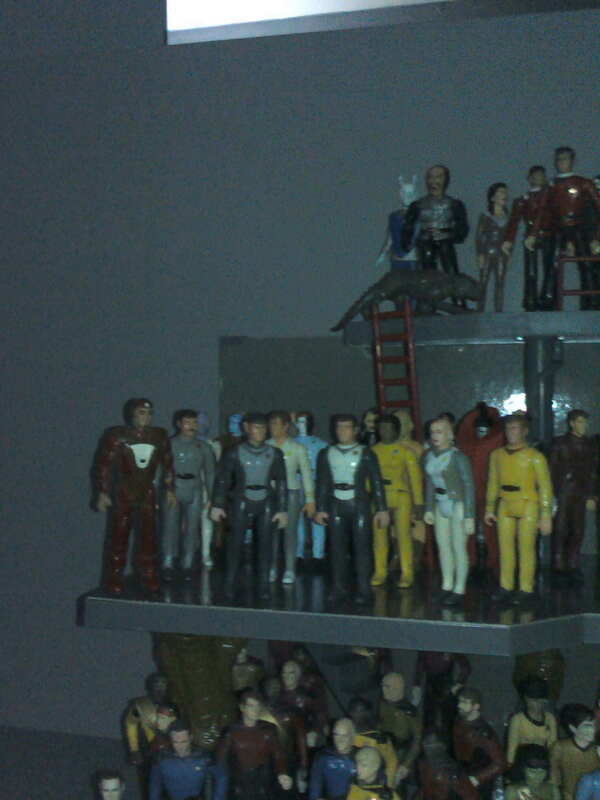 Personally I am a little disappointed by that because I would love a 4" Calypso figure. Anyway, this was no doubt the reason why they created names for their characters using astrological and astronomical terms, so in the spirit of this, I have created names for my custom characters, and I believe that my names are better. That said, here are Zack Zenith and Roger Retrograde. My SDCC Hallmark ornaments arrived today. Unfortunately, they are just a bit too tall but may work in the background. 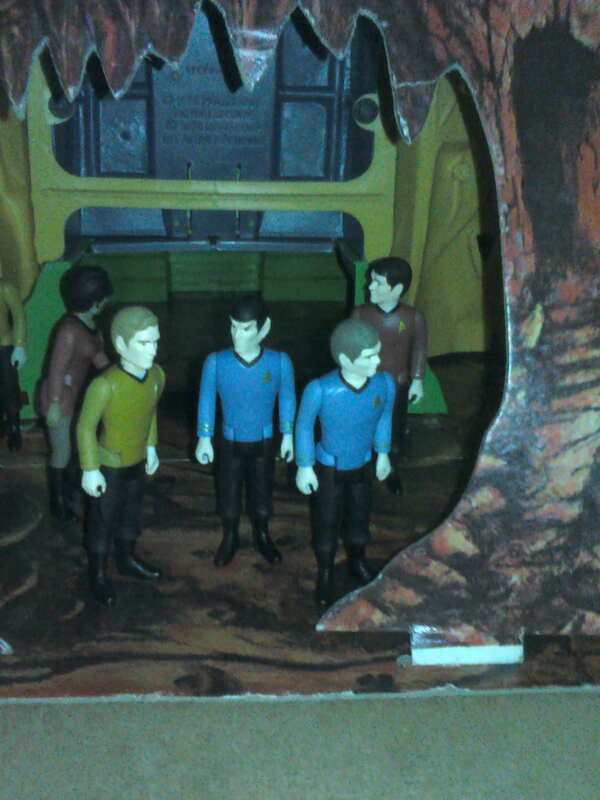 The purpose of this post is to show off the new playset I am creating, but I thought I would populate it with some Trek figures, just to make it relevant. 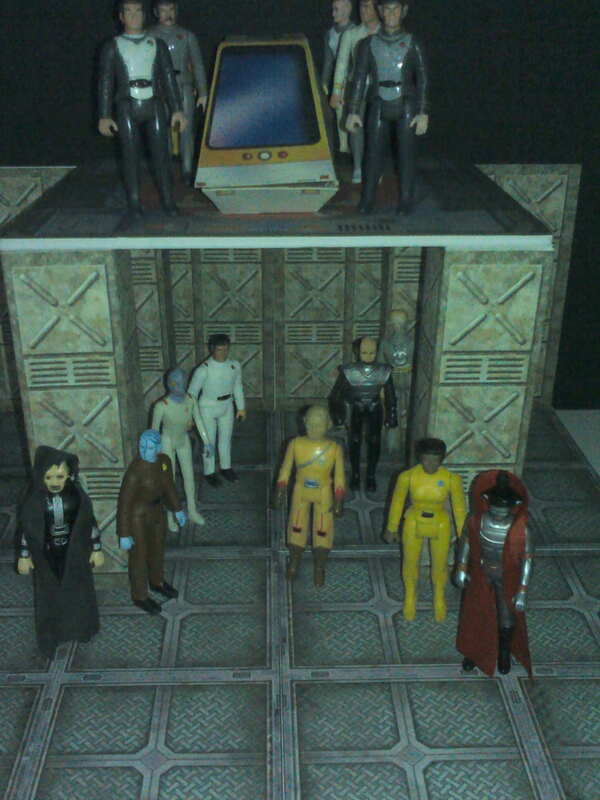 Those STTMP figures make me feel nostalgic. More than any other contribution to the franchise, that first movie conveyed a deep sense of optimism and morality and strength and faith in the future that's sorely needed. Last edited by Skoob; 09-22-2018 at 11:07 AM.. 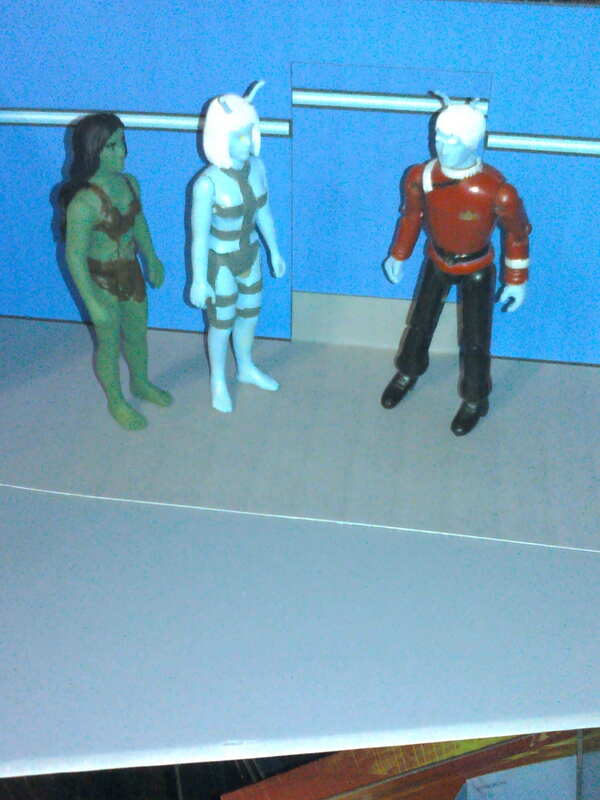 Custom Andorian playset I designed and printed out last night and assembled this morning. I used images from Enterprise for reference. They had the blue and white neon light bar around the room in a lot of shots. I am not sure it translated as well as I had hoped. 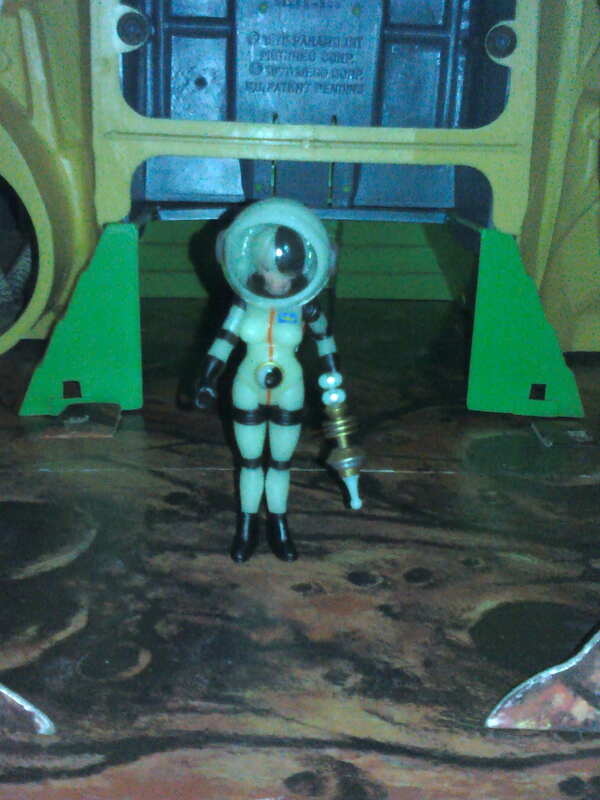 I was on Orion Prime and decided to take a walk when I noticed this lovely little thing and decided to bring her home. I used the Andorian references from Enterprise depicting Andorians in a lot of blues, grays, and white for her color scheme. 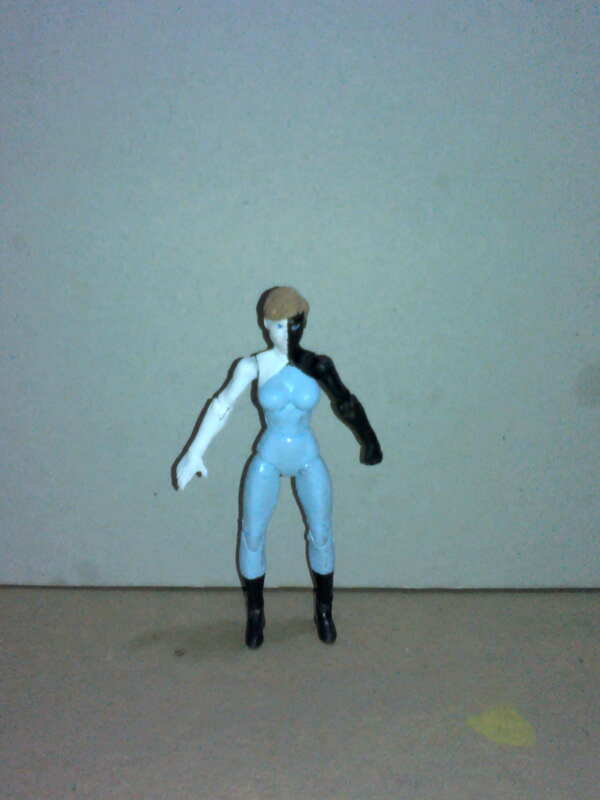 After painting her skin and hair I decided she was too bright and used gray on her outfit to tone her down. I have been wanting a Cheronite female for a while but could not find the right parts until now. 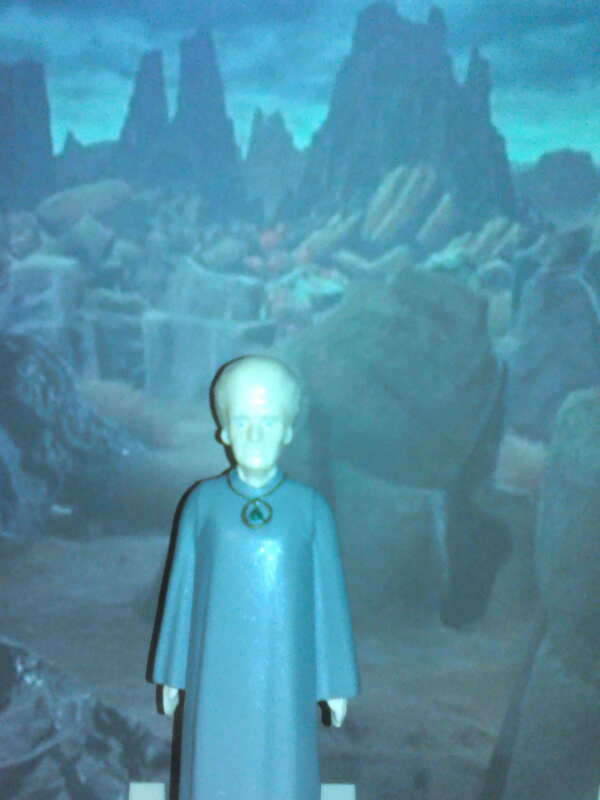 Updated photo of new Andorian female figure with original custom figures of Bele and Lokai from over 25 years ago. As requested for another group. The above shots were taken at my work station which is too small for a proper background. I normally use 2 small pieces of cardboard for these quick shots. 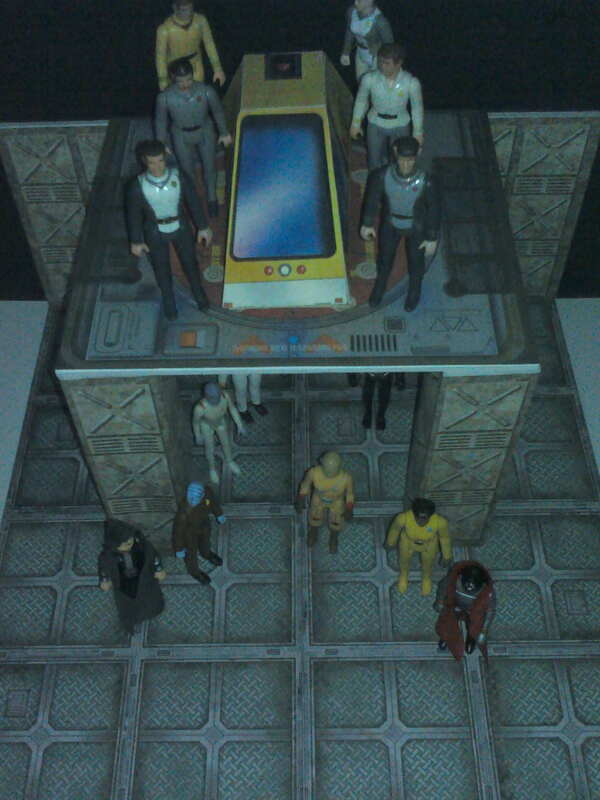 This is a playset I created using various designs found on Google and modified in paint. 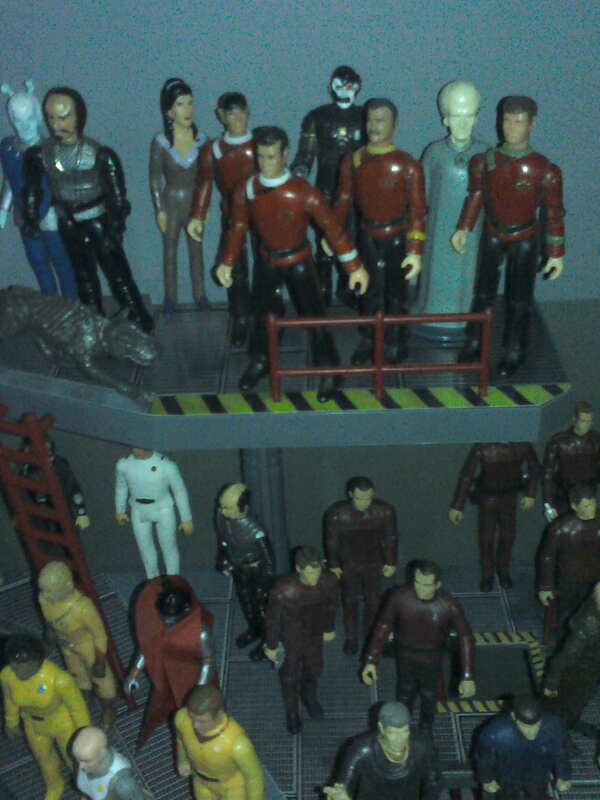 Shown are several of my 3.75" Trek customs, both old and new.